Water softeners provide a number of benefits beyond making your drinking water taste good, though that is the main reason people buy one. Here are a few unique benefits of using water softeners. We’ll focus on the practical reasons and go beyond the environmental ones, such as needing to use less detergent and soap in your home. You may know you have hard water because of the buildup of calcium and other minerals in the shower. If you have a whole-house water softener, it will prevent those minerals from reaching your shower. Then it won’t build up in your shower, and you won’t need to scrub it away. The same mineral build-up will occur in your dishwasher. It may be dealt with by your plumber, or you may use other cleansers to remove the undefined white film in your dishwasher. If you frequently boil water for long periods of time, you’ll find this same mineral layer left behind in pots and pans. Switch to a water softener, and you may not have to scrub the slow cooker pot so often to get it clean. At the same time, you’ll need less soap and effort to get clean in the shower yourself. You’re probably frustrated with scrubbing all those visible surfaces to remove the fine white or multicolored residue. Yet the most expensive problem is building up in your walls, because the same residue is building layer upon layer in your water pipes. You can clean the shower head by dipping it in a bowl of vinegar, but you can’t remove the same stuff that’s choking off your supply of hot water to the shower or slowly reducing the water pressure to your toilet. Eventually, you’ll need to have the pipes replaced. And that’s aside from the risk that a piece of that thick gunk breaks off and cuts off your water supply. The buildup of calcium and iron could slowly decrease water pressure until a dishwasher won’t run, or a sudden blockage due to a chunk of lime will prevent it from getting enough water. The same slow buildup of minerals in a hot water heater will make it hard for the heating elements to do their job, while it accelerates the literal burnout of heating elements. Then you’re calling the plumber to fix your hot water heater more often than you would if you had a water softener. 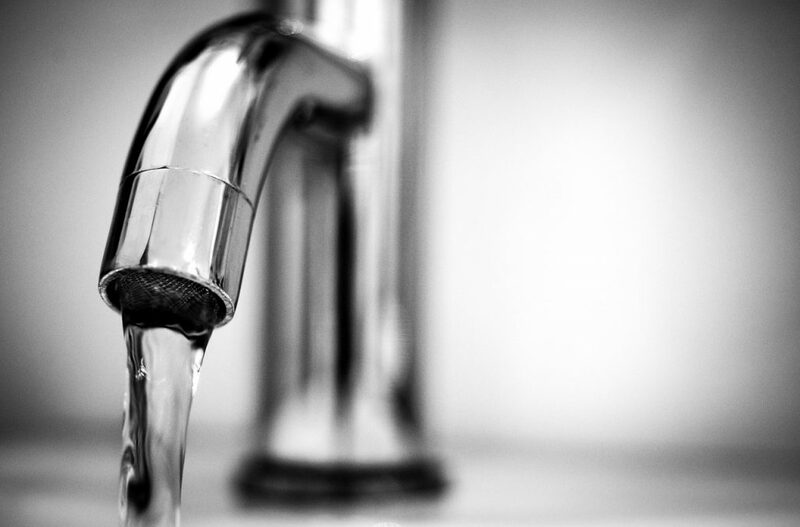 Using softened water will prevent this problem from getting worse, though it will not undo the damage already done to your pipes and appliances. Yet it will end problems like calcium buildup in the shower and mineral buildup in your dishwasher immediately. The lime and other minerals carried in hard water do more than alter the taste of our water. They interfere with the water’s ability to absorb various substances and create a balanced solution. The practical effects include needing more soap to get clean in the shower and having to add more laundry soap to clean your clothes. When you have soft water, you won’t need as much laundry soap to clean your clothes. Because you won’t have to wash the clothes as long or on as hard of a cycle, they’ll last longer, too. If your water loses that mineral aftertaste, you won’t be tempted to add more heavy spices to cover up the minerals carried by the water you’re cooking in. You will be able to taste the fruit essence or herbs in your tea with less of it, and you’ll detect the subtle flavors that were hidden by the minerals in your water. As a side benefit, you won’t have people wonder about how well you take care of the kitchen because there are splotches on glasses or a film on the plates. Invest in a water softener and you’ll see it impact literally every aspect of your life. It will end up saving you money and effort. It can improve your quality of life, and it can save you from expensive repairs and equipment replacements down the line.